I couldn't be more excited to share one of my favorite day time looks with you. Ever since I was little my mom always told me that I looked so good in a hat. I always thought she was so crazy because I never thought hats were cool. 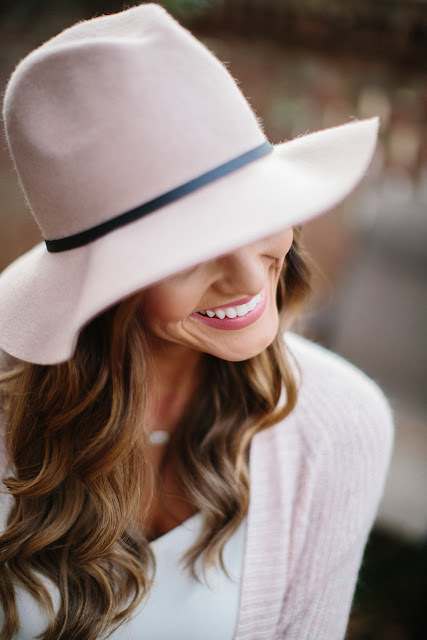 When I thought "hat" I always thought of a baseball cap or one of those crazy hats you see ladies wear at derby races in the South. As my love for fashion has grown, I have come to LOVE a good hat. 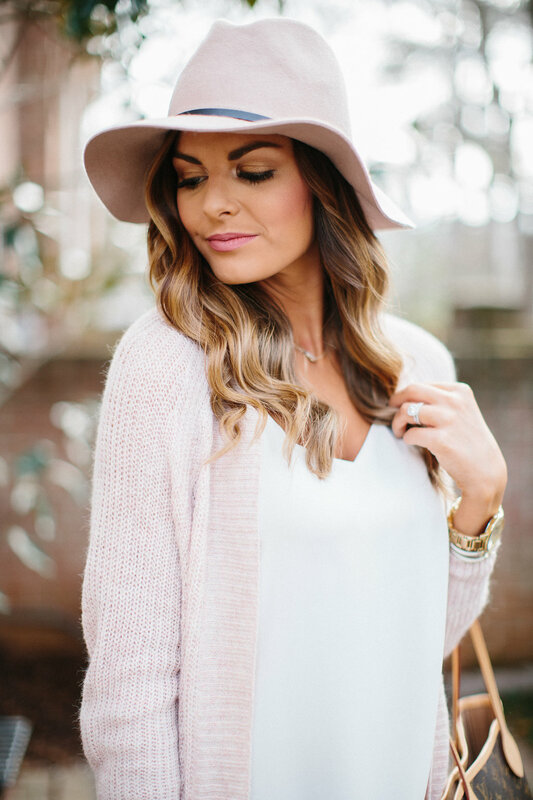 A good hat can add the perfect touch to any outfit. I also love the statement that it makes. I found this Rancher hat at Target and fell in love. 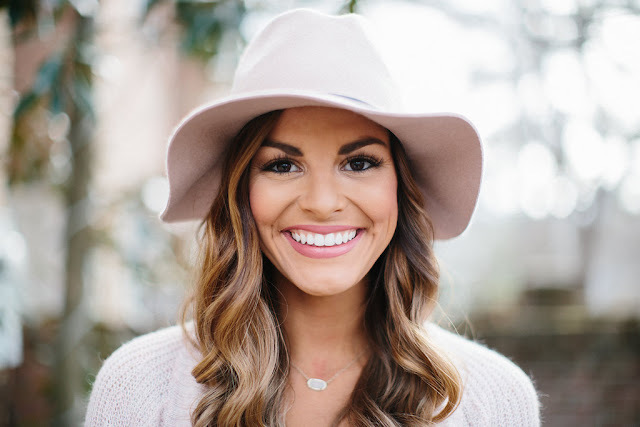 I love the rancher style of it and how it is a little different than most of the floppy hats that you see people wearing these days. I also love the blush color. When I grabbed this hat at Target I was walking around the store wondering what I could pair it with. That's when I came across a blush cardigan. It was a match made in heaven. The exact one that I bought at Target is sold out but this cardigan from Express is very similar. I paired the cardigan with this barcelona cami from Express. Y'all, this cami is one of my all time favorites. I have it in black, white, blue and a few other colors. 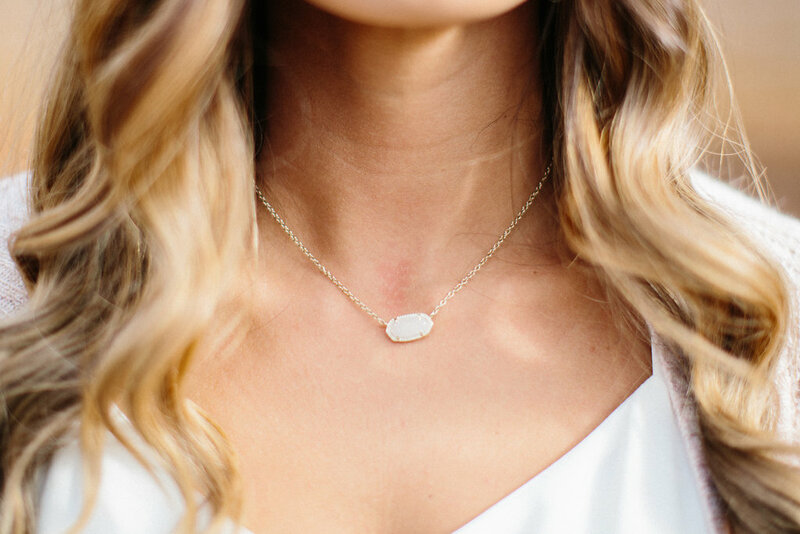 It is such a staple to have in your closet because you can wear them with anything! It is the perfect tank to wear with any kind of cardigan, jacket, or even by itself in the summer. This outfit looks great with a good pair of distressed denim. Some of my favorite pairs are these and these. I am a HUGE fan of AG denim and Hudson denim. Both brands usually fit true to size and are always very comfortable. To top this look off, I paired it with my favorite peep toe booties. I am a sucker for peep toe booties and these are probably my favorite pair that I own. I love the color, the suede material, and how they go with everything. You can never go wrong with a pair of Sam Edelman shoes! 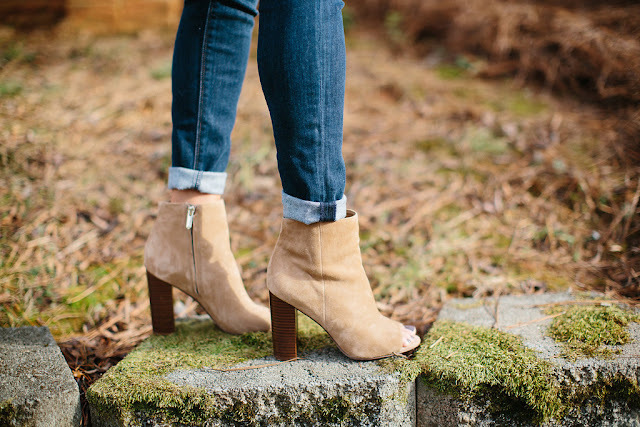 Plus, these booties are on sale right now for 50% off at 6pm.com! I highly recommend snatching yourself a pair of these. You won't regret it. What I love most about this look is how simple and effortless it is. That's why I think it is perfect for any day time event. Perfect for a football game, a brewery, a trip to a vineyard with your girlfriends- really anything! I can't wait to wear it again. I hope you all have a fabulous week!! What I love about it is, it is a classic look that most woman can pull off. You look stunning in the hat, your mom was correct! !